In honor of the digital release of BATTLE FOR THE BLOOD, my fourth Latter-Day Olympians novel, tomorrow, I’m harkening back to one of my favorite interviews of all time. Thanks, Jean Marie Ward and Buzzy Magazine! And seriously, all, gods and gorgons, myth, magic and mayhem…maybe even a zombie virus…what’s not to like? Primo interview! I loved hearing you compare and contrast (Gina and Tori) your characters from each series. You announced there will be a fifth book in the LDO series. Are you writing it now, and how is it going? I just checked my Kindle and my pre-ordered copy of Battle for Blood has been downloaded. No sleep for me tonight! Congrats on your fourth book in the Latter-Day Olympians series, Lucienne. Thanks so much! I’m planning to rerelease PLAYING NICE…someday. It’s out of print and it’s an earlier work, so you know I’d want to tweak. It’s just a matter of finding the time! I haven’t started the 5th Olympians book yet because I’m working on a YA thriller that won’t let me go, but Blood Hunt (tentative title) is next on my list. I’m pretty excited, since I’m going to get to play with Athena in one of her alternate personas. Think Egyptian mythology! Happy Book birthday, Lucienne! 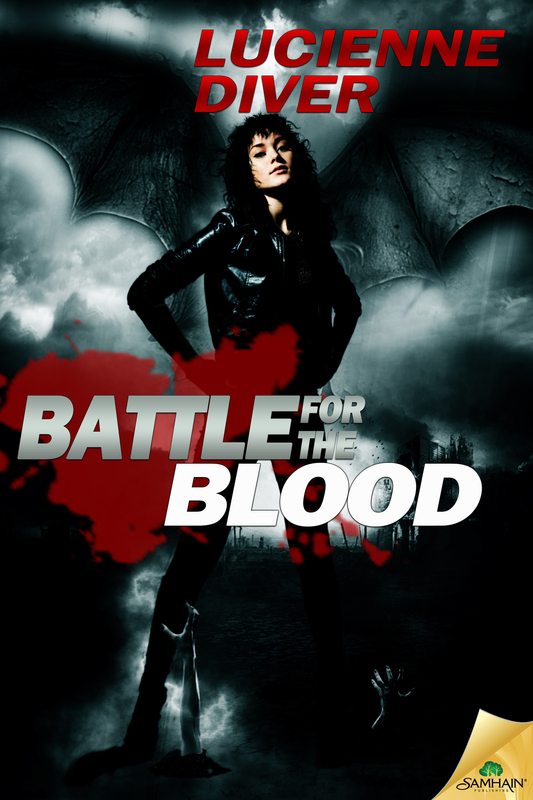 I’ve read the first 6 chapters of Battle for the Blood: it rocks! Dare I say it’s my new favorite? Yes. Looking forward to reading the 5th book. Egyptian mythology sounds interesting. A YA thriller? You are unstoppable! YAY! Oh thank you, thank you, thank you! My editor and I were a little nervous about how folks would feel the way I left things at the end of RISE OF THE BLOOD. So pleased you feel I came through with the goods! BTW, if you want to see pics of Meteora (so hard to envision if you haven’t been there), I blogged it when we visited: http://varkat.livejournal.com/204054.html. Unfortunately, the fog was such that it looked like something out of a fairytale. Wondrous to visit, not so great for clear, crisp photos!